It will also be available to view and print from your vpdealz account when ready to use. May only be redeemed at Orem Golden Spoon 824 East 800 North Orem, Utah or Draper Golden Spoon 1224 Draper Parkway Draper, Utah. Does not cover tax or tips and may not be combined with other offers. See the terms that apply to all deals. Valid through: Mar 12, 2013. See the terms that apply to all deals. 12 Flavors: FAT FREE & GLUTEN FREE !! 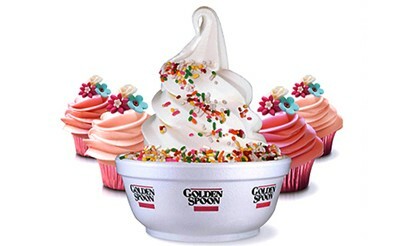 Step into Golden Spoon's sparkling red & white shop and choose from their huge selection of wonderful flavors and toppings. They use fresh refrigerated mix, that''s frozen right in their soft-serve machines when you order! 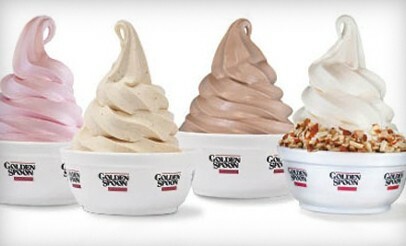 ---- Just the freshest, creamiest, Frozen Yogurt you''ve ever tasted! 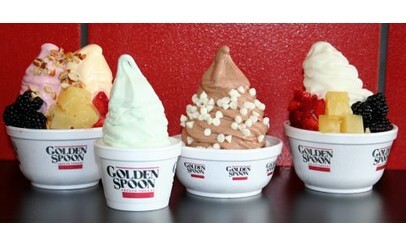 You know that Golden Spoon Frozen Yogurt tastes good, but did you know how good it is for you? 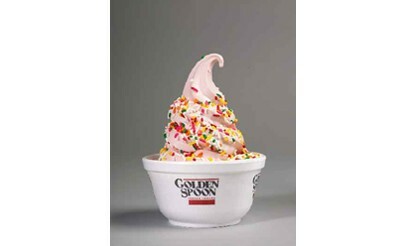 Non-fat frozen yogurt like Golden Spoon is recommended by many dieticians as a good way to get the newly-increased daily allowance of dairy products. It's a good natural source of protein and calcium. In addition to these nutrients, yogurt adds the benefits of healthy digestive cultures, found by independent studies to have beneficial properties. Golden Spoon'sÂ® process ensures that these live cultures are active and present in the final product. 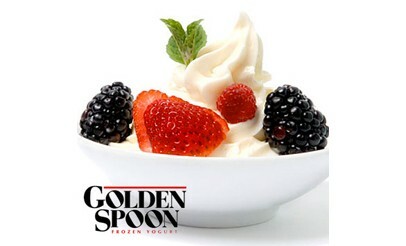 And dieters appreciate that Golden Spoon yogurt is non-fat and very low in calories, so feel free to indulge!